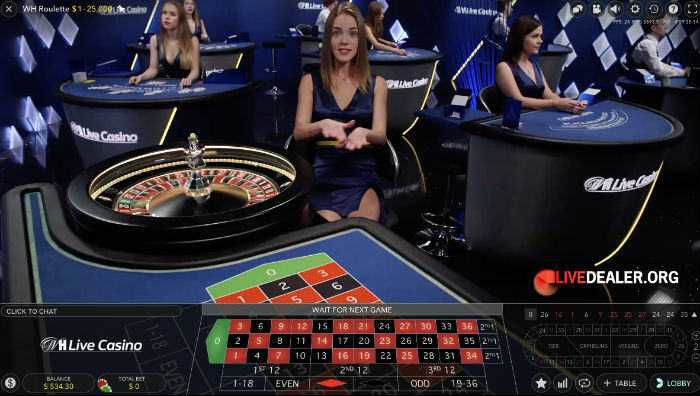 We were warned of some major changes on the way at William Hill live casino a couple of months ago when their Macau and (some) Mayfair tables went offline with a promise of bigger and better things to come. Well those things have now arrived in the form of 8 new live blackjack tables and a new roulette table. WH Roulette, and WH Blackjack tables 1 through 8 are now open and taking bets. Whether the new offering is bigger and better than the tables that have been replaced is debatable (unless there is still more to come?). The old Mayfair and Macau areas comprised 15 tables including blackjack, roulette and baccarat, not to mention VIP tables and hosts. This compares to the new ‘WH’ table line-up of a single roulette and 8 blackjack tables. The William Hill Vegas tables are still available, and unchanged for the time being. Bigger? Definitely not (again…thus far). Better? This is a stretch. I mean the old lineup offered more look and feel variety in addition to a bigger game and table range. There is one area where the new WH tables will be considered better by some players, and that’s limits. Getting a seat at low limit live blackjack tables during peak times can be very tough. Perhaps this has been a bone of contention for William Hill players? Shouldn’t be an issue any more. They now have six WH Blackjack tables with minimums of $/€/£ 5 or less, including two where a $/€/£ 3 bet lets you join the action. 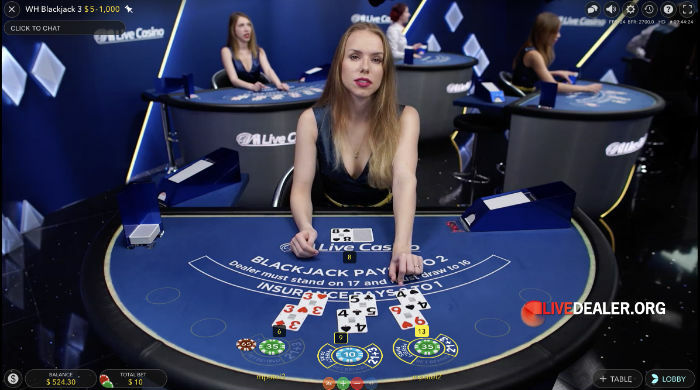 Add into the mix the already low limit oriented Vegas tables, and William Hill now have 12 live blackjack tables with a $/€/£ 5 or less minimum bet. Making their private tables majority low limit is a smart move from William Hill. 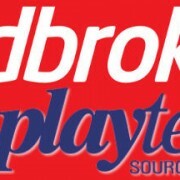 With the large number of generic Evolution Gaming high stakes live blackjack tables now available there’s really no need to offer any/many additional high limit private tables. It’s never difficult to get a seat at any of the generic VIP tables with minimums starting at €50. If you join the Grand VIP, Platinum VIP, Fortune VIP, or Diamond VIP tables you are often playing on your own. If you play the Salon Privé tables, you can only ever be on your own…and they’re not often occupied. Point being, Evolution’s generic tables (accessible by players from all Evolution powered live casinos) have the high rollers well and truly covered. Stacking the private tables with low limits therefore makes perfect sense. 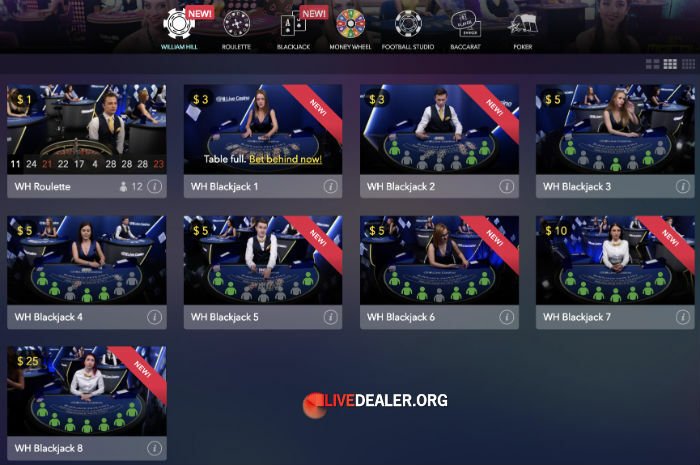 This is what William Hill’s new private live blackjack tables look like. Pictured here is WH Blackjack 3. 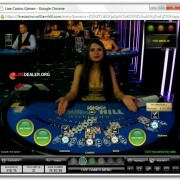 House rules remain the same as all Evolution Gaming live blackjack tables. A $/€/£ 1 bet gets you in the game on the new WH Roulette table. It’s a single zero table of course.